How to generate hundreds of leads from a single landing page? Do you know that lead generation is the most important goal of digital marketing that helps your business to grow? How many companies have you heard that do not want to generate leads? Zero, right? If you are driving a company online, you already know that generating leads is everything. If you are someone who wants to obtain more leads online using digital media, a well-optimized, highly involving landing page is one of the main powerful element that you need to incorporate in your website. Delivering great customer experience also effectively helps in lead generation. It would have been great if every person that came across your website got converted into a paying customer. But, that is only possible if you already know what customers want, how they land on your website, and how to convince every prospect for the final purchase before your competitors do. Did it sound practical to you? Of course not. But, Lead generation strategies can definitely help you to a larger extent. Lead generation is the method of drawing prospects attention to the products or services provided by your company. It is actually the process of studying and managing likely customers. Further, in this article, we will read about how to generate leads using landing pages. 1. To the homepage of the website with all the products. 2. To the checkout page of the particular model, the ad was about. Which one do you think is more appropriate? Without giving any second thought, you will choose the second option as there are high chances of getting a lead on this page and that is called landing page. You can customize your landing page completely for a specific item or information you want to share, but you cannot alter the entire website or particularly the homepage for every offer or campaign you run. Apparently, a landing page is highly adjusted for lead generation as it contains a single call-to-action widget without any other form of distractions. Customer experience is the customer’s opinion of their overall verbal and non-verbal interactions with a company during the entire journey of a mere visitor to a legit buyer. It also includes how they complained about your service and products on Twitter and Facebook and how you handled it. Customer experience is not just customer service. You can only provide a great customer experience once you have an idea of your customer personas and a deep understanding of the customer journey. You need to keep it in your mind that improving customer experience is not an option anymore, it is something that you need to practice. Otherwise, you can watch your customers leaving you and choosing your competitor who is providing better customer experience. If you really want to raise your business high, you should be concerned about making sure that your customers have a pleasant and unforgettable experience when they interact with you. Customers who already are in the ocean of similar and even better service or product providers don’t have a little tolerance for bad or unprofessional service. Collected data indicates that “47% of customers would take their business to a competitor within a day of experiencing poor customer service.” You don’t want to lose your customers and lastly your business? Customers are a very good storyteller, getting a great customer experience will create an urge in their mind to share their experience with others. By concentrating on wondrous customer experience, you will be able to create many brand advocates out of your customer base without applying many efforts. Use an engrossing title which develops a kind of curiosity in the mind of prospects. Keep away from using typical generic titles, which annoys visitors like “buy now”. Do proper research about your audience requirement before getting started with the landing page designing work. Designing the landing page keeping your ideal prospects in mind is unconditionally important. A landing page of a company selling products will be different from the company selling services. It all depends on what you need to sell and to whom you need to sell. A proper homework yield great benefits. Do you think that it is a good idea to put all the information on landing pages? No, it is not, you should know that the landing page is incorporated only with an intention to make prospects click on the call-to-action (CTA). Design the page in such a way that they must be able to easily grasp the information they are looking for. However, you can highlight the significant advantages of your service or product on the landing page in a notable and impressive way. Basically, a widget is an independent computer application that can be easily embedded into the landing page of a website. The only condition is that web page should technically support widget. You must have seen them on multiple websites, they don’t take much space. They just carry out simple yet effective tasks and are very user-friendly. Most of the visitors hate popup advertisements and email forms, and why not? In fact, they are irritating. Mainly when they appear on the whole page the moment any website loads. You can fulfil this requirement by using widgets without annoying the customers. Like popups, it captures users attention, but, at the same time, it does not annoy prospects which can make them leave the page right away. It has the ability to let you get a hold of the prospects. Not every visitor end up on your website for the same product or the same service and also they don’t have the same mindset. There are many widgets available in the market which works according to the users’ behaviour on your website. For example, you can set “time spend on the website”, “the pages visited by the user”, “age of visitors”, “visitors geolocation” and “product added to the cart” as a parameter in the widgets settings, based on the parameters widget will show different options and suggestions to different prospects. Customized messages help you in gaining their attention as well as their confidence. After all, it is all about presenting the right offer to the right prospect at the right time. It is a known fact and a very reasonable point to say, not every person in the company is aware of all the queries that a customer is going to make related to the product or service. For example, technical queries can be only answered by the technical team and billing queries can only be answered by the billing team. Based on the nature of the query, a widget can automatically redirect the particular type of queries to a particular person or to the particular team. The analytics plays a great role in lead generation. Without analytics, you will not be able to check if your attempts are giving expected results or not. There are many Widgets which gives you an option to check the effectiveness of chat boxes and feedback boxes. You will get to know about how many visitors came across your widget, how many of them actually used it to contact you or to send any feedback or anything for which the widget was embedded in the very first place. Once you have the report you can make changes accordingly to increase the conversion rate. In the current stage of the digital world, without analytics, you can not go much far with your product and services. The analytics provided by the widget is a great help in making further strategies of lead generation. 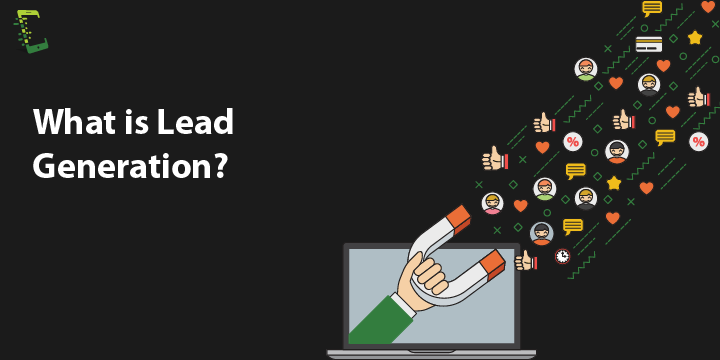 In this article, we learned What is lead generation? What is a landing page? 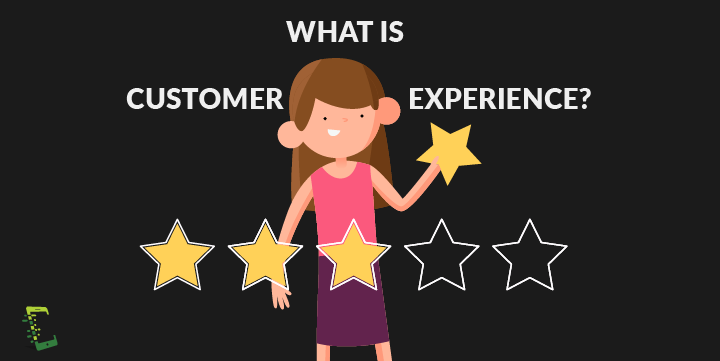 What is customer experience? 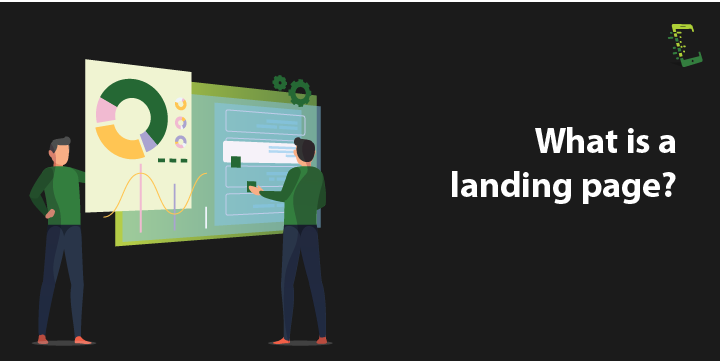 And finally, we discussed how to generate hundreds of leads by improving the user experience of the landing page by applying some strategies and incorporating widgets on your landing page. We got to know that by creating an engrossing landing page, we are actually advancing to convert mere website visitors into potential leads. Stay tuned with this blog, we will keep updating the new types of technologies that you can use to generate more and more leads in this fast-changing digital world. Try using the strategies mentioned in this article when you plan to redesign your landing page, these ideas can surely give you the best results. Should you have any queries related to the landing page and lead generation. Write to us in the comments section below. Want to generate hundreds of leads from a single landing page?? A Complete gamer and a Tech Geek. Brings out all his thoughts and Love in Writing Techie blogs.